Virginia Johnson is a dance icon. 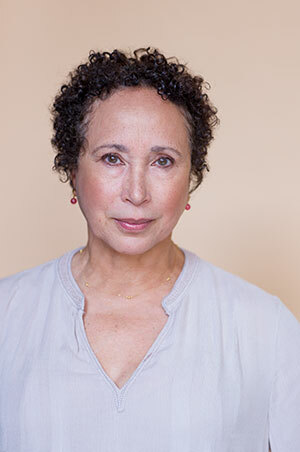 She joined Dance Theatre of Harlem in 1969 as a founding company member, and prima ballerina, and returned to it in 2009 as its artistic director. Born in Washington, DC, Johnson graduated from the Academy of the Washington School of Ballet. She briefly attended the School of the Arts at New York University as a University Scholar before joining DTH in 1969. During her 28 years with the company she performed most of the repertoire, with principal roles in Concerto Barocco, Allegro Brillante, Agon, A Streetcar Named Desire, Fall River Legend, Swan Lake, Giselle, Voluntaries, Les Biches and others. Three DTH productions in which she danced leading roles were recorded for broadcast: A Streetcar Named Desire for Dance in America on PBS, Creole Giselle, which was the first full-length ballet broadcast on NBC, and Fall River Legend, which won a cable ACE award from the Bravo Network. In addition, she was included in two acclaimed television dance series, Margot Fonteyn’s The Magic of Dance and Natalia Makarova’s Ballerina. While still performing, her interest in journalism led her to Fordham University where she continues to pursue a degree in communications. After retiring from performing, She founded Pointe Magazine and was editor-in-chief from 2000-2009. Her honors include a Young Achiever Award from the National Council of Women, Outstanding Young Woman of America and the Dance Magazine Award, a Pen and Brush Achievement Award and the Washington Performing Arts Society’s 2008-2009 Pola Nirenska Lifetime Achievement Award and the 2009 Martha Hill Fund Mid-Career Award. Here is her story, her advice and her vision for the future of ballet. When, where and why did you first get involved in ballet? What hooked you? “I grew up in Washington, D.C., and my mother was in a women’s club of many people that had gone to school together, grown up in childhood and stuck together as friends. It was a very close-knit group. I had this friend named Therrell Smith, who was the daughter of a doctor, so they were the wealthier of the folks in the group. Therrell Smith had fallen in love with classical ballet as a young person. She really wanted to study ballet but couldn’t find any place to teach her. Of course we’re talking about the 1940s, the 1950s, and the idea of black people dancing ballet just did not exist, nor were any of the studios integrated, so there wasn’t any place that she could go to study ballet. But, as I said, she was the daughter of a doctor so she had the resources to take herself off to Paris where she studied and got her training in ballet. And she came back to Washington and opened up her own dance studio. My mom wanted to support her friend and send her two daughters off to study with Therrell… I fell in love with it. I think I was infected by Therrell’s love of the art form. I also just loved the music and loved the movement and loved the sense of order that you felt — everything in its place and everything right. It was something that I fell in love with right away. I just loved the music and loved the movement and loved the sense of order that you felt – everything in its place and everything right. It was something that I fell in love with right away. Was there a turning point or epiphany moment when you chose to pursue ballet as your career? What was it like to dance during the Civil Rights Movement, through segregation, through this time in American history? What types of challenges did you encounter? How did you work through them and keep pushing? “There were so many people that told me that I didn’t belong in ballet. Things that I just didn’t hear. When I graduated from the Academy of the Washington School of Ballet, where Mary Day had me as a full scholarship student for three years, she said to me, ‘you know what, you’re just not going to be a ballerina. You’ve got all kinds of talent, but there’s no place for you in ballet.’ That was the first time that I actually heard it with any seriousness. But she said this to me as I was leaving. So I thought, well you gave me the best training I could possibly have had knowing that there was no place for me to go. But you did it anyway, so I thank you for that. I think you’ve heard from a lot of people who are not necessarily caucasian that you don’t think of yourself as ‘the other’ until somebody tells you that you are. I thought of myself as a normal person pursuing a dream. And I had to have these reminders thrown at me that I wasn’t a normal person and I didn’t have a right to that dream. So when I got to New York, I was at NYU in the dance department, and somebody said that Arthur Mitchell was teaching ballet classes in Harlem on Saturdays…That was when I found out he was creating the Dance Theatre of Harlem and I lobbied with my parents to give me the chance to drop out of school and pursue this dream in the basement of a church in Harlem. The thing that was really interesting was that it was the 1960s and it was the middle of the Civil Rights Movement and it was also the National Black Arts Movement where people were going, ‘Why are you trying to do the white man’s art form. You should be doing African dance.’ Well, who is anybody aside from me to say what I should do with my life? Black people. White people. Yellow people. Purple people. I’m an individual. I have a dream, I should be able to pursue that dream. Well, who is anybody aside from me to say what I should do with my life? Black people. White people. Yellow people. Purple people. I’m an individual. I have a dream, I should be able to pursue that dream. What special quality did you bring to your performances? What are some of your most unforgettable performance moments? Throughout your years in the field, from founding member of Dance Theatre of Harlem to its artistic director, what types of changes have you witnessed in ballet? “The ballet world has come a long, long, long, long, long way from the world that I grew up in. Well, in some ways it has and in some ways I see vestiges of it lying around. But when I was growing up, dancers were expected to be little cloistered nuns who danced all day until their toes were bloody and then came home and washed their tights and went to bed. They didn’t eat anything, they didn’t talk to anybody and they didn’t have any ideas in their heads because they were just the vessels for somebody to turn into art. That’s an antique image that is horrible when you think about it. And I think it’s not true at all…The real thing is that nowadays artistic directors want students who are smart, who have information, who can bring something to the table, who are mature. The real thing is that nowadays artistic directors want students who are smart, who have information, who can bring something to the table, who are mature. What is one thing that you think we in the ballet world need to work harder to change? What is your advice to young dancers today? What are you most proud of about Dance Theatre of Harlem’s contributions to ballet as an art form? What do you hope to see in ballet’s future? What types of possibilities do you see? “Dance Theatre of Harlem is a touring company. And even though it’s really horribly hard work that I wouldn’t want to wish on anybody, I also wish it on everyone. Because it’s an amazing thing to travel around this country and see the similarities and the differences in communities across the country and to be able to engage with people in different places. There’s a commonality that we all need to plug into and I feel like the arts are the thing that brings people together. There’s a commonality that we all need to plug into and I feel like the arts are the thing that brings people together. Who were your role models as a young person? Were there dancers who inspired and empowered you at any moment in your career similar to what’s happening now with Misty Copeland? “When I was growing up in Washington, in junior high school, they took us to see Martha Graham perform at a theater in Washington.I wasn’t all that interested because it was modern dance. But there’s this moment when Mary Hinkson steps onto the stage. She was one of the early members of the Graham company and just a sublime dancer, the most exquisite dancer you can imagine. She stepped onto the stage and I sat bolt upright in my seat. I was like, ‘Oh my God. There’s somebody who looks like me on the stage.’ I didn’t know that I had missed myself on the stage before that moment. I didn’t know that I had been looking for some kind of affirmation of my desire to be on the stage, but in that moment I really felt it. I was like, ‘Oh my God. There’s somebody who looks like me on the stage.’ I didn’t know that I had missed myself on the stage before that moment. I didn’t know that I had been looking for some kind of affirmation of my desire to be on the stage, but in that moment I really felt it. It’s kind of a weird thing. It’s not something that’s in the front of your brain, but it’s in the back of your brain. The eight years that DTH was not touring I think were a setback in terms of young dancers of color feeling like there was a place for them in ballet because most of the companies didn’t have a dancer of color, most of the schools didn’t have anybody that made them feel welcome. Unless you’re a total maniac, why do you push yourself to do something that’s not welcoming. That notion of a role model is an important one. On March 19, 2017 we’re actually celebrating the 100th anniversary of Janet Collins, who was the first ballerina of color to perform at the Metropolitan Opera. She had quite an amazing life, but if you say the name Janet Collins to someone right now, they’re not going to know who she is. And yet, she was a trailblazer. She was a person who made it possible for me to do what I did. What are you looking forward to about our collaboration in Pittsburgh and why do you think it’s important?